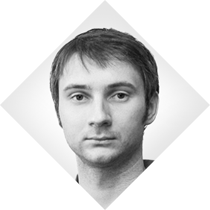 Nikolai Rantsev - Project Coordinator on SaaS IBM WSC Project. Nikolai's experience in managing web-based projects from startups to the enterprise level from iOS, Android, BlackBerry, Mobile Web, Java, PHP to IBM WSC makes him a unique expert on the subject. Nickolai also holds PhD in Economics.